With each new expansion and DLC pack that hits Destiny 2, there are always a ton of brand new weapon items for you to obtain. In this Destiny 2 Forsaken Exotic weapons guide, we'll be walking you through a comprehensive list of all the very best weapon items available in the DLC expansion for the game. But if you instead need help with any other areas of Destiny 2’s latest batch of DLC, you’ll want to head over to our larger Destiny 2 Forsaken guide. It’s on this page that we’ll detail all the brand new content that’s included in Forsaken, including the new Gambit mode, and the Last Wish Raid, arriving slightly later in September. In the list below, we'll be detailing some of the more eyecatching Legendary and Exotic weapons that we've uncovered so far in Destiny 2: Forsaken. We'll be continually updating and expanding this list whenever we uncover any new weapons in the expansion, so keep an eye on this guide for more. Two-Tailed Fox (Rocket Launcher) - This unique rocket launcher fires two rockets at once, hence the name. Both rockets are fired out simultaneously, giving you a large than usual blast radius. Trinity Ghoul (Bow) - This brand new weapon (which you’ve probably already seen in promo coverage of Forsaken) creates electrical storm arrows whenever you land a precision hit. So, if you’re laying into a boss character repeatedly with the Trinity Ghoul, you’re going to land massive amounts of damage very quickly. Malfeasance (Hand Cannon) - This weapon packs a punch as is, but if you can land five precision hits with it in a row, it’ll detonate a massive explosion at the point of impact. For a walkthrough of how to get your hands on this elite weapon, head over to our Destiny 2 Malfeasance guide. Black Talon (Sword) - This sword functions exactly as you’d expect, carving up enemies at close range with ease. There’s a twist however, as it can also release a deadly a shot of deadly arc energy at a nearby target. One Thousand Voices (Trace Rifle) - Hello there, Prometheus Lens replacement. This Trace Rifle fires out an exploding beam of solar energy, devastating any enemies or boss enemies caught in its path. 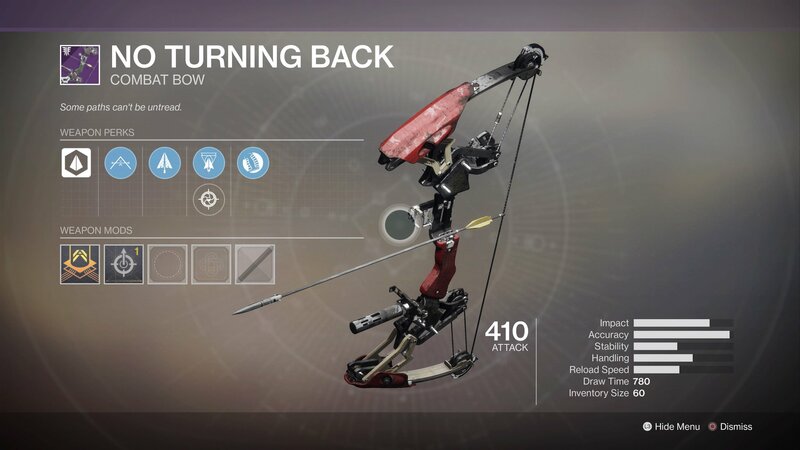 No Turning Back (Bow) - This Bow has arrows that explode after a short delay, and you acquire it from Petra Venj after unlocking the Reef hub area in the Forsaken campaign. Chromatic Fire (Fusion Rifle) - With this rifle, you can cause a big explosion of elemental energy, whenever you score a kill with a final precision hit, finishing off an enemy with a headshot in explosive style. 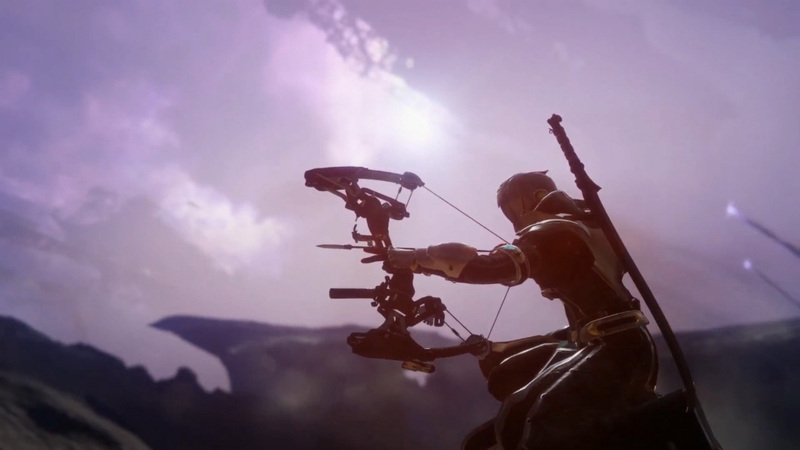 Wish Ender (Bow) - This Bow lets you see through walls, which means it’s perfect in the Crucible, letting you get the drop on enemy players approaching your position from behind cover. Ace of Spades (Hand Cannon) - This is Cayde-6's Exotic hand cannon, but there's a fair few steps involved in obtaining this unique weapon. For a complete walkthrough of how to acquire this gun, head over to our Destiny 2 Ace of Spades guide. 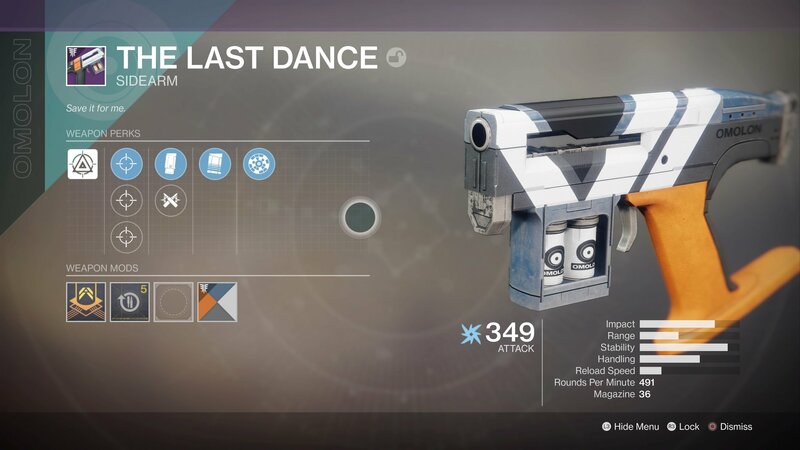 The Last Dance (Sidearm) - Although it might not seem it, this is actually one of the more deadly Sidearms in Destiny 2, thanks to the Forsaken expansion. This is one of the more common Forsaken weapons to acquire, and we randomly received it in a Vanguard reward in The Traveler. Wavesplitter (Trace Rifle) - This weapon is unfortunately a PS4 exclusive, but it's one that packs one hell of a punch. You can fire the energy beam from this weapon at three different power levels, resulting in huge damage even at the lower levels. Lord of Wolves (Shotgun) - This Exotic shotgun is incredibly difficult to come across, but your best chance of earning it is by completing bounties for The Spider in The Tangled Shore. Boasting a solar energy damage booster, the shotgun can rip through opponents with multiple rounds at short range, extremely quickly. This might be the end of our Destiny 2 Forsaken weapons guide, but we’ve got plenty more coverage on the DLC here at USgamer. For now, you can continue ahead to our Destiny 2 Gambit mode guide, where we’ve compiled a complete page of tips and tricks for dominating the online competition in the brand new mode.